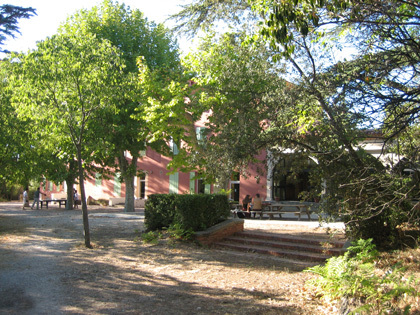 During the first week, a classical school is proposed. It consists of several lectures given by leading scientists and related to the topics of the research projects. The remaining 5 weeks are dedicated to working on the research projects, possibly after a morning seminar. CEMRACS'19 will be the twenty-fourth of the series. 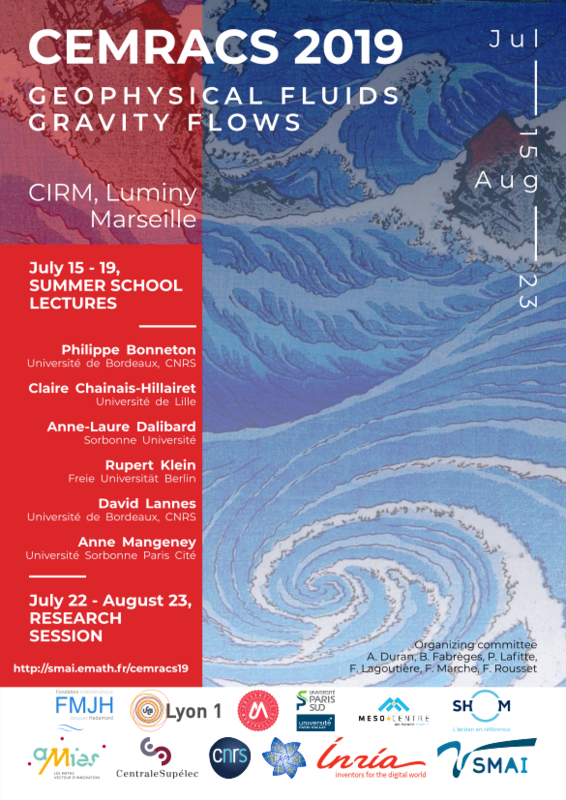 CEMRACS 2019 intends to focus on modelling, analysis and numerical simulation of geophysical flows. Human activity has greatly diversified and intensified over the last few decades, leading to the emergence of new ecological, social and economic challenges. In this context, considerable progress has been made by scientists in trying to analyse, predict or even control a number of natural phenomena. The contribution of mathematical analysis and modelling is a major asset in understanding these problems, and has allowed, among other things, the development of operational numerical methods, based on current predictive models. However, these recent challenges (development of renewable energy sources, intensification of extreme events, impact of ocean and atmospheric currents, etc. ), with their growing impact on populations and significant economic spinoffs, maintain the need for faster and more accurate predictions. Even today, these motivations still come up against theoretical and technical limitations. Great advances remain to be done, both in terms of model analysis and precision, and efficiency and accuracy of numerical schemes. More than ever, the issues raised are therefore not limited to academic interest alone, and will be the opportunity to create close interaction between industrial and academic environment, while bringing together a wide spectrum of competences.